The oven is one of the bigger and more important appliances in the kitchen since it helps you prepare multiple types of food. 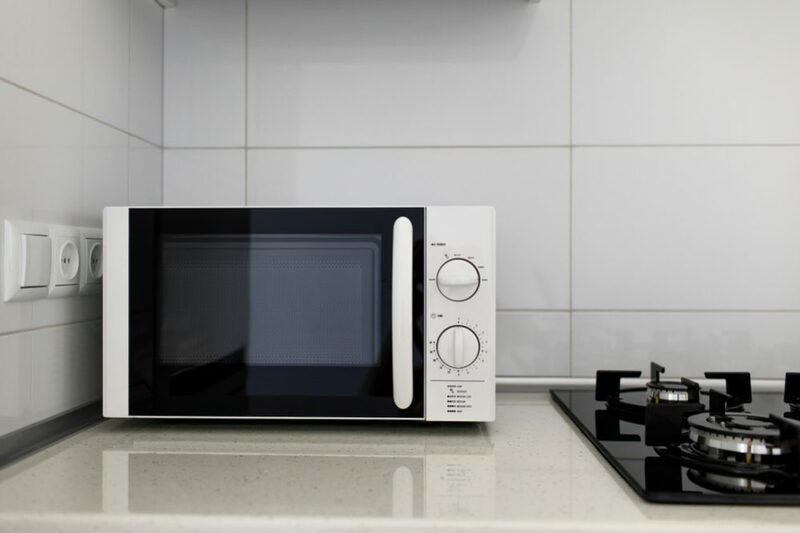 However, if the grand size of the oven doesn't work for you, then there’s always the option to go a little smaller and look for the best countertop convection oven for your kitchen. Why choose a convention oven? The Oster Extra Large Digital Countertop Convection Oven TSSTTVDGXL-SHP is today’s pick for the best countertop convection oven with its massive amount of space and quality performance with each use. The best thing about this model is that with all the space it has to provide, you won’t miss your oven. This oven cuts the cake with multi-functions and pre-set options at your disposal. It’s easier maintenance than a large oven and can handle the same load as your standard oven would. With easy to navigate digital push button control, setting this oven up for the perfect meal is one press away each time! This countertop oven from Hamilton Beach serves as more than a convection oven. It can also be used as a rotisserie. It comes with multiple trays and three different positions to slide in your tray. This gives you the luxury of choosing how close you want your food to cook or bake near the top or bottom. This Hamilton Beach model uses stainless steel in the construction for a strong, resilient performance. The oven uses 110 voltage and measures 13.1 x 20.6 x 16.5. The size makes it a compact piece easy to welcome into your kitchen. It’s an extremely energy efficient appliance that takes up 49% less energy than most typical ovens. With all the space inside, you can fit a whole 5lb chicken on the rotisserie! Included in the primary purchase are two oven racks, an enamel-coated baking pan along with a smaller one that can have a broil rack stacked over it for roasting meat. There are also rotisserie accessories including a rotisserie lift and fork with an additional rod. For the bottom, there’s a drip tray for an easier clean with every rotisserie use. The Hamilton Beach comes with four pre-programmed settings for Bake, Convection, Broil, and Rotisserie. It has an automatic shutoff system and a two-hour cooking timer for meats and rotisserie. The undoing of this product’s grand quality state would be that it does take a rather long time to heat up. Just warming up takes enough time for another oven to fully prepare a batch of baked goods. This piece is an easy-clean surface with a removable drip tray and an overall smooth surface. It has easy-to-read temperature and function dials on the front for you to set the perfect heat and time settings for all your different dishes. Nevertheless, this does preserve more energy though it does take a long time for it to warm up than other non-convectional ovens. Breville has two speeds for its fans, super and regular, for greater control over the heat distribution. This allows for a faster warm-up time and a steadier circulation throughout. 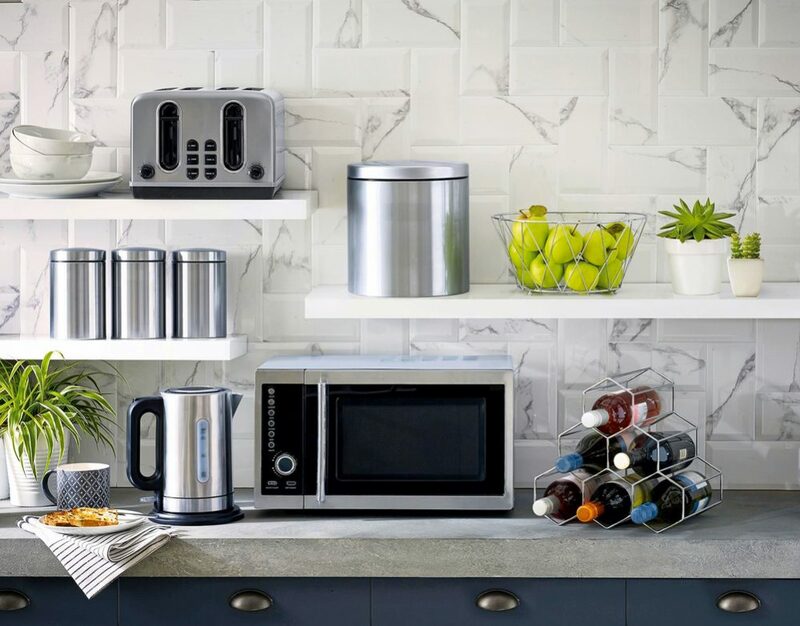 Breville introduces Element IQ into this appliance; six quartz heating elements work independently to move around the heat into cooler areas, keeping a consistent temperature all over. This Breville oven can both air-fry and dehydrate foods. With the space provided, you can dehydrate four trays of food at the same time. The total amount of space given in this oven is 1 cubic foot and can fit a whole 14 lb. turkey. This oven can comfortably fit 13” x 9” pans. This unit uses a total power of 1800 watts or voltage of 110. With this appliance, you can easily perform multiple versatile functions. You can broil, bake, roast, warm, air-fry, slow cook, bagel, pizza, proof, reheat, cookies, and dehydrate. With these thirteen functions, this oven covers over many other individual appliances with ease. The oven has an LCD display so you can smoothly navigate through the thirteen optional functions provided. The oven light integrated into this piece turns on automatically at the end of the timer. This convection oven comes with a two-year limited warranty. The oven has space, functions, and convenience all wrapped into one great appliance. Overall, this tightly packed Breville convection oven is easy to place in your kitchen and even more easy to enjoy. What also comes in the package though is a short-lived life. Mostly, the time-frame for an issue to occur is between 3-12 months. In between this timeframe, there have been encountered issues such as the door springs breaking, pre-settings not working anymore, and sometimes the piece does not heat properly. All of these issues though did show themselves in the 2-year time period for the warranty to help. BLACK+DECKER gives you the roomy space you need to fit whole chickens and pizzas inside of your oven without the worry of overheating your appliance. Your rack can be positioned in two different spots in the oven to either keep the food closer to the top or bottom. This allows for a crispier bottom yet soft top layer and vice versa. The lower rack holder gives you more space for larger food items. You can even have two racks inside the oven at the same time. The timer works independently. Just set the amount of time you want your oven to run and the timer will turn everything off once the job is done. You can also adjust the temperature to your own liking on this oven. This kitchen appliance has 8 different functions. You can toast, bake, broil, bagel, pizza, warm frozen snacks, potatoes, and cookies all with the pre-installed setting delivered in this oven. Quite like the performance, the clean-up with this oven is quick and easy. With a non-stick interior, all you need is a damp cloth to wipe all of the grime and grease away for a clean oven just as you had bought it. 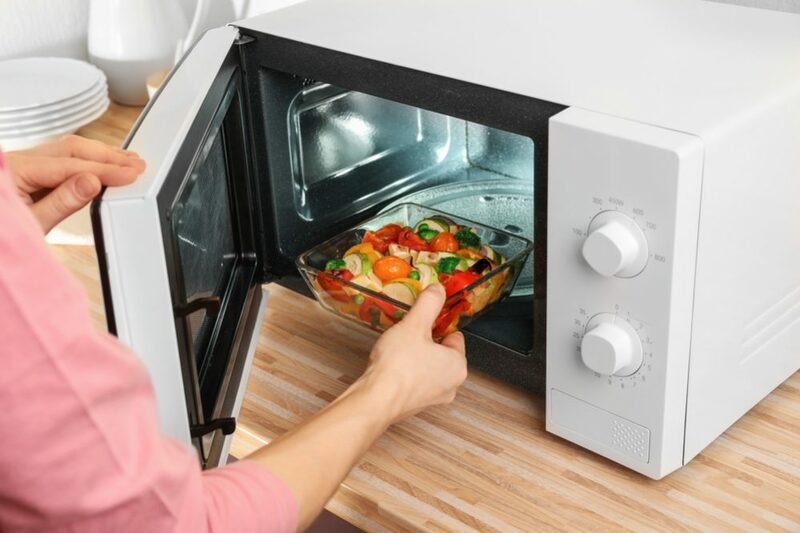 This oven comes with a removable crumb tray for an easier clean in case anything falls off of the food while warming up, toasting or being broiled. The clear glass door helps you keep a keen eye out on the food inside and creates an appealing design for the whole piece altogether. The purchase of this oven includes a perfectly fitting bake pan for the best results. One issue with this oven though would be that it isn’t a very user-friendly device. This appliance has many functions all labeled with ink that does tend to rub off. The bottom-most layer accumulates dirt and grease very easily which can begin to smoke if not cleaned properly. This convection oven from Cuisinart keeps your oven needs as simple as possible to make your cooking and baking experience easy-going. This oven comes with 15 different cooking functions for a more versatile performance. The controls of this oven are digital, with LED-lit buttons and a blue backlit display. It has an interior light to see better if your food is properly cooked, toasted, or baked. The dimensions of this unit are 20” in length, 16.9” in width, and 11.4” in height. Alongside the pre-programmed function options come the heat sensors partnering with the piece’s 5 quartz heating elements. This helps ensure that your food is perfectly and evenly cooked each and every time. 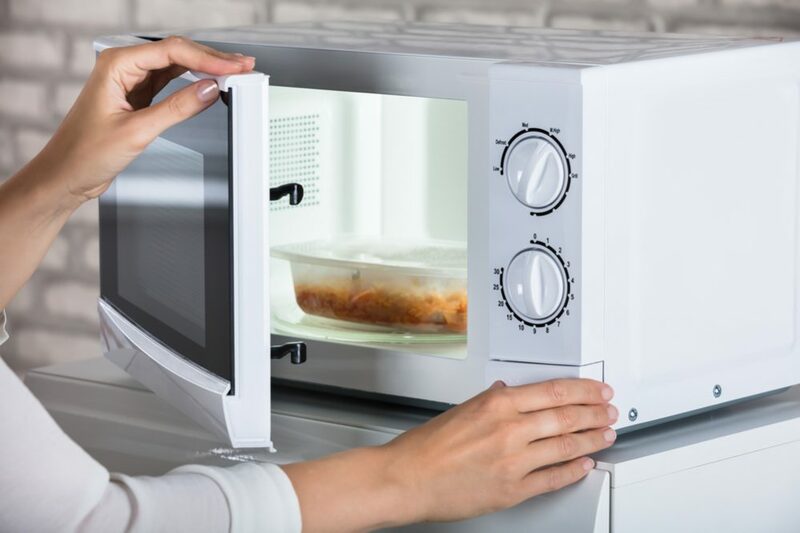 The following are the functions you can perform with this oven; toast, bagel, waffle, keep warm, bake, broil, roast, pizza, leftovers, sandwich, defrost and more. You can also have two different functions running at the same time in this oven with the dual cook function. There are two convection settings you can choose from. You can turn on the convection setting during any other function and you can select the speed convection that commences without a required warm-up. There are four separate racks slides for you to use for greater versatility with placement. Inside of the primary purchase you get two oven racks, a baking pan the performs as a drip tray as well, a broiling pan, a removable crumb tray, a thirteen-inch pizza stone and an additional recipe booklet to get you started on some exciting meals. This oven does have a tendency to overheat when used frequently. Both the oven itself and the cord used to insert it into an outlet can overheat. This, to prevent any accident is better checked routinely and never leave the oven plugged in if you aren’t currently using it. With this extra-large option in the Oster products, space is not an issue. You can have multiple racks placed inside the oven for big parties and dinners. This oven has enough space to carry a full-sized chicken, a 16” pizza and even fourteen slices of bread! The digital controls and push buttons make navigating through the controls on this oven much easier. You even have the option of turbo-convection to make for a faster performance that doesn’t give up on quality and even distribution. You have bake, broil, toast, pizza and de-frost settings on this appliance for a versatile performance. This oven comes with a 90-minute timer and an automatic shutoff option for an energy efficient performance. This oven does take up space on the counter, but it makes up for this with its sufficient quality performance. It can even take charge and conquer the larger oven in the kitchen. With this purchase, you get 2 oven racks, a baking and an integrated broiling rack for all of your cooking, toasting, and baking requirements. With a non-stick interior, you don’t have to worry about cleaning, which will happen in a cinch. This large piece makes for a great addition in the kitchen which is why it earns the top recommended claim on this list. The interior measurements of this oven are 14” in width, 8.5” in height, and 12” in depth. The best of the best can come with some issues sometimes. One issue with this convection countertop oven is that it doesn’t warm up as quickly as a standard oven would. The oven does perform its job as it’s supposed to, it just doesn’t work as quickly as a normal sized oven which can seem an issue to those who are used to standard ovens. The slower performance does have a little guilt for being caused by the energy efficient performance. Searching for a good countertop oven is not hard. But finding the right countertop oven for your specific needs may be harder. There are a lot of options to skim through and they all come with their own benefits. Some will promise you a wider variety of functions while others will have a longer life and more durable conduct. Some brands come with big names but not as big of a product. 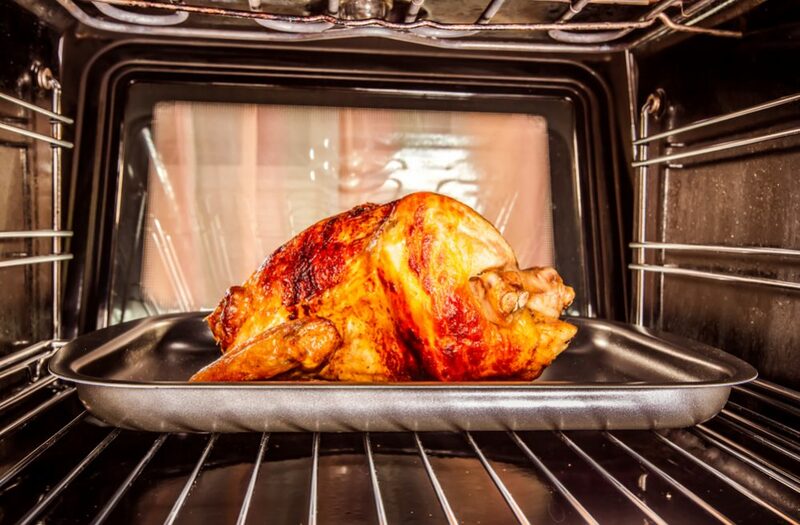 A convection oven holds many benefits over a standard oven. Instead of resorting to using infrared rays to warm up the oven, this oven uses a more timid heat source and then fans to circulate this heat evenly. This is a more energy-efficient method of warming up your food. It also covers more ground in less time and makes for a perfectly baked or cooked masterpiece without hot or cool spots. 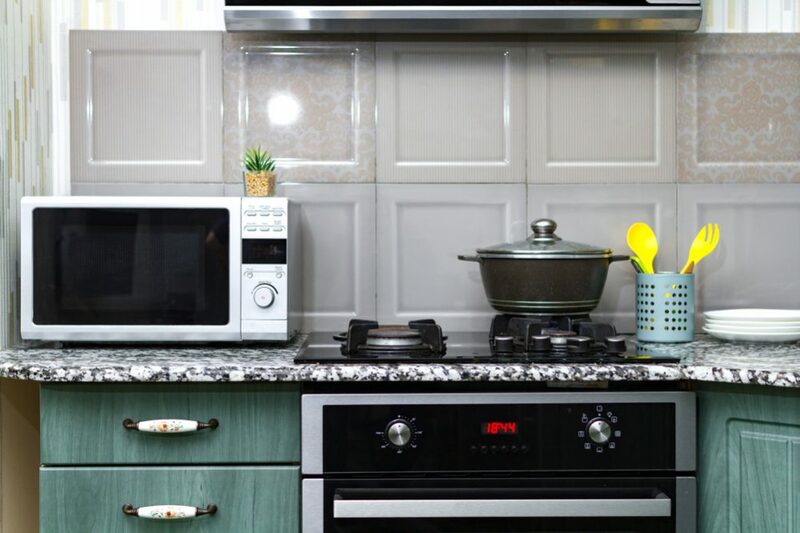 A convection oven is also more compact than others, taking up less space and power. This helps people who have limited living space and cannot handle managing an entire oven. It fits in most if not all kitchens and can even become a portable appliance for you to carry with you on trips. Convection ovens with their distribution of heat also manage to better keep the heat inside of the food compartment. This makes for a safer, cleaner, and cooler kitchen environment which becomes more bearable to work in. The convection oven keeps your food under a well-balanced setting while not interfering with the surrounding area. If the oven you’re looking for isn’t quite like this description, you may not be looking at a convection oven. The following are some non-compromising factors you should keep a lookout for in your countertop oven. The size of the machine makes a huge difference. Most people transfer from a standard oven to a countertop oven for the very reason that it’s smaller. The basic size of a countertop oven is 20” by 15” by 10-12”. This amount of space is bound to be taken by your oven. Otherwise, if you’re getting anything bigger you may as well buy a floor oven. Just as well, you don’t want to buy an oven that’s too small. 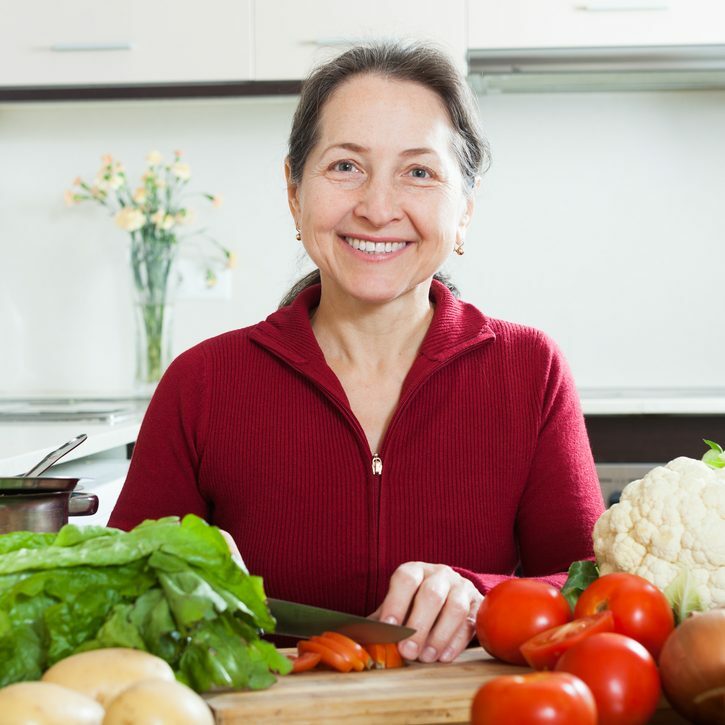 Otherwise, you may not be able to cook, bake, toast, or prepare anything in the oven. Granted that a countertop oven is going to be smaller than an oven on the floor, but that doesn't mean it can’t perform to the same level. Your countertop oven should be able to fit a whole chicken inside or at the least a pizza. The standard size for a tray is 13” by 9”. If the interior of the oven isn’t larger, or at least as large as this, you’re going to have a hard time trying to find a tray that’ll fit nicely in this oven. The standard size for a countertop oven is 20” wide, 14-16” high and 10-12” deep. These measurements can fit plenty of food inside and serve a family. You should also have the option of more than one tray slide. Some dishes should be closer to the top and bottom, same going for being further from the top and bottom. The more levels for trays you have available, the easier it’ll be to manage how much heat the food receives. You can even have more than one tray inside while using the oven. Most countertop ovens come with built-in functions to make your job easier. The following are some functions you can find in a convection oven. Mainly, you want your oven to bake, broil, toast, and roast at the least. Other options are great if you can get them under the right price tag. The controls for these multiple functions should also be easy to understand. With most purchases, you can get trays and drip sheets inclusive. It’s always better to get an oven that has all of these included in the primary purchase. Finding the perfect tray can be difficult since all ovens have some differences in their manufacturing. If you stick to the trays they have to offer, you will have a much better experience with your oven. The oven usually comes with two oven trays, although they can also come with bake pan trays and broil grills for your meat. A non-stick interior makes cleaning much easier. With a non-stick interior, you’re less prone to a sticky mess. Any kind of mess such as these can eventually end up burning over, creating a painfully irritating issue with your oven. It can even in some cases render it useless. The price is a dead giveaway on what quality of the product is going to look like. Sometimes you may come across those products that are overpriced for no good reason. There are some factors that are going to boost up the price such as additional features and functions that aren’t standardized, high-quality material and inclusive additions included in the purchase. With a warranty, you have steady protection over your purchase. It’s better to always purchase something on the basis that you’re covered with a warranty. When it comes to a countertop oven you’re looking for at least a two-year limited warranty. A countertop oven is made to last long, and if it doesn’t last you more than one year it isn’t one worth picking a fight for. Unfortunately, the warranties nowadays are sometimes limited to only replacing parts or returning without a full cash refund. The warranty also shows the confidence behind the product and how long of a time-period they’re giving you to find any flaws. Anything lower than a two-year warranty could mean that you’re looking at a product that isn’t a long-lasting appeal. Overall, the Oster Digital Countertop Convection Oven serves as the best option when it comes to considering a countertop oven permanently. This oven performs heavy-duty jobs excellently and the disadvantages to this machine don’t weigh down all that heavily on this fact. A longer warm-up period doesn’t stop the oven from performing exceedingly when it comes to handling large amounts of food, even an entire meal and managing to make it perfect. When the other listed ovens attempt this type of work, they overheat or live a shortened life. Oster keeps up with the game for a long time and makes for a promising appliance in your kitchen.